This was the second drawing of what has turned out to be an continuing exploration of using pencil in abstract drawings using stencils. 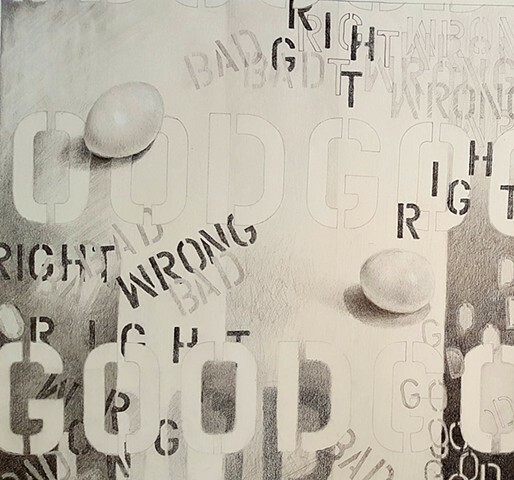 This drawing is about the conflict that I and many artists feel about their work: it is is either right or it is wrong, good or bad, everything is black and white, there are no shades of gray. A very destructive thought process which I am happy to say, I no longer inhabit.